As we prepare to enter what will surely be International David Foster Wallace Month (a day seems paltry, a year is just greedy), here is an old interview from The Believer, which includes the following, one of DFWs many dog references. 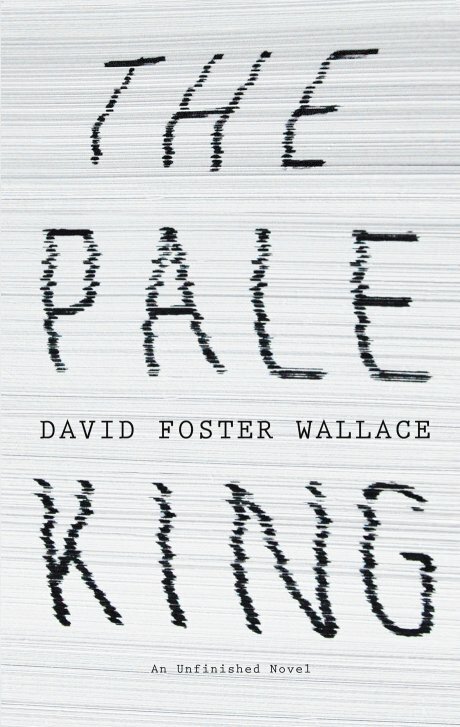 After reading the book-length interview that is Although Of Course You End Up Becoming Yourself, these have almost come to seem metonymic not only for all kinds of DFW’s concerns, but also for the still-pointed sadness of his absence. at the junction of Victoria Terrace and the Upper Row, just off the Royal Mile/Lawnmarket. Klaus is a novella and collection of stories that span the entirety of Massie’s writing life. Though the stories are solidly composed, none are thematically or formally challenging, and for the most part feel slight- the kind of story one might write in response to a commission. The onus thus falls on the novella (which gives the volume its title) to impress. The ambition of Klaus is certainly praiseworthy- an attempt to relate the last days of Thomas Mann’s son Klaus, a novelist and political activist who ends up committing suicide after the war. The mode of narration slips between free-indirect and straight third person, in the course of which much of Klaus’s life is presented- his relations with his father, his sexual life, his opposition to the Nazis. Given the richness of this subject matter, it is all the more disappointing that the novel fails to provide a compelling portrait of the author. This can be attributed to two main failings. 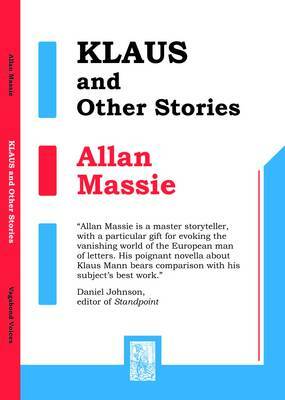 The first stems from Massie’s preface to the collection, which sketches the biographical details of Klaus Mann’s life and how Massie came to be interested in him. There are several cogent reasons why few novelists write prefaces to their own novels (the exceptions being when the novel is being re-issued some time after its initial publication). Firstly, it suggests that the novel cannot speak for itself (which is almost a vote of no-confidence in the novel, or perhaps, its reader). The second, perhaps more serious reason, is that it can easily diminish the reader’s curiosity about the forthcoming narrative. With a narrative in which the reader knows virtually everything that is going to happen, the burden borne by the prose, and the ideas it contains, is bound to be far greater. Unfortunately, the second great failing of ‘Klaus’ is that it is poorly written. Despite the promises on the back cover regarding Massie’s ‘subtle prose’ and ‘dense and highly effective style’, the writing is leaden and possess a number of stylistic tics, such as as the overuse of points of ellipsis and the continued recourse to rhetorical questions (the prose is also not helped by the obvious lack of care with which the book was proofed and typeset- there are numerous errors of punctuation throughout). The imagery for the most part lacks subtlety and fails to resonate. What would he say now? What advice would he give? The novel’s frequent attempts at pathos are similarly unsuccessful. Why it should be a cupboard under the stairs- a place where brooms and vacuum cleaners are kept -that is equated with painful recollections is unclear (perhaps Massie felt that a basement or attic was too obvious). The reader is seldom allowed to draw their own conclusions about Klaus’s mental state in his last days- instead Massie resorts to frequent passages of heavy exposition, where we are continually told (either by the omniscient narrator, or by Klaus) about some aspect of his character. On page 11 alone we are informed that, ‘Humiliation, he had known that for a long time… the humiliation of lovelessness, the knowledge that he could never find what he sought because those to whom he was most attracted could not respond in kind’. A few paragraphs later we are told that ‘Klaus had known the temptation of that abyss too well for too long not to tell it truly’. In addition to the heavy-handed way in which this information is imparted, there is also the fact that the preface has rendered the majority of such information redundant. Though Massie tells us a lot about the life of Klaus Mann, he rarely manages to show us anything vital. The Island is a novella that describes the journey of a father and daughter to the zoo, one which becomes increasingly fraught as it becomes apparent that some kind of disaster has occurred. During the trip we are shown the childhood and marriage of the father in flashback, the latter of which seems unsatisfactory, probably doomed. However, it is the portrayal of the relationship between father and daughter, their insistently private world of shared references, in-jokes, and affectionate point-scoring that the novella is at its most successful. Unfortunately, their well-rendered relationship is embedded in a narrative that lacks any real urgency- the catastrophe is so vague and sporadic a presence that father and daughter never feel endangered, not even emotionally. It is also difficult to understand the father’s determination to reach the zoo- it is not presented as a place of safety, or hope, and given the father’s feeling for his daughter, there is no apparent reason for him to take her there. As a result, the climax of the book feels melodramatic, too eager for significance. a burlesque of a chained book in a cathedral library. Certainly, the flimsy plastic pen was likely to be worth more than the religious text of the lottery slip. Having strained this metaphor, Price immediately has the father overcome by moral reservations about using his daughter’s birth date as a source of lottery numbers. But he hated the thought of using numbers that had a human resonance- his own daughter, for heaven’s sake. The lottery was a dehumaniser, and people-as-numbers only colluded with its statistical hopelessness. Even if the reader is able to believe that a character thinks like this, it is likely to be injurious to their interest in them. Though many novels by poets (R.J. Price is better known as Richard Price, a poet) suffer from over-wrought sentences, which though sometimes elegant, cumulatively make for 0verly-effortful reading, there are some remarkably awkward sentences in what is a very short book. His precognitive senses registered disquiet without his intelligence being able to articulate just what the problem was. The strength of her vulnerability- the tiny intricate bonds of their life together, multitudinous, delicate each in themselves, the singe chord that kept a structure like the Erskine Bridge suspended gracefully in air! In conclusion, this is a slight, oddly insubstantial novella, despite the many potential sources of emotion and interest that it contains. I am unsure what genre this novel belongs in- probably inspirational chick-lit, if such a category exists. I am far more certain that I do not fall into the intended readership of this novel, which I found baffling, foolish, trite and banal. 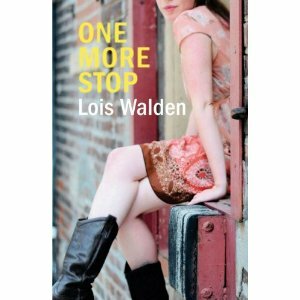 The novel focuses on the consideraby-larger-than-life character of of Loli Greene, a drama teacher, who is search of closure/resolution/coming to turns with the demons of her past (insert your own talk show cliche), who meets a variety of obstacles which she naturally overcomes. This is one of the major flaws in the narrative: many seemingly insoluble problems are easily resolved. Her troubled relationship with her father is one such example- though she has been wishing him dead, when he calls her, she phones him back, then immediately forgives him because he sounds terrrible. Loli’s involvement in a cult in the wake of her mother’s death also ends with no real conclusion. In some kinds of novels this wouldn’t matter- but given the simple models of psychological causation that books like these are supposed to offer (X is a bully because his father beat him, Y takes drugs because her husband doesn’t love her) Walden isn’t even offering her readers a plausible series of emotional transformations, just a set of platitudes e.g. ‘When you change your life, some who love you will fall to their knees, begging you to reconsider their plans’; ‘There are times in your life when you must let the dearest parts of yourself slip through your fingers like sand’. As for the prose, it swerves from sentimental (‘She lived inside her tears. My heart still swims in her sorrow’) to grandiloquent (‘I prefer the slow dance. This is not completely true. Depends… Age, place time. History… It is always about history.’). 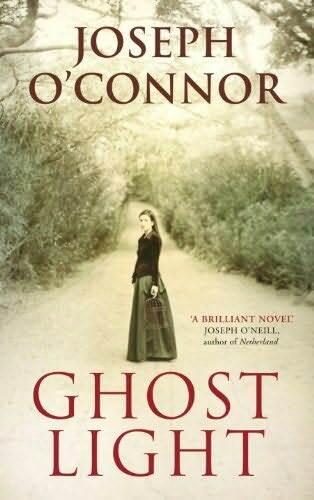 Ghost Light is a fictionalised version of the relationship between the playwright John Synge and his leading lady, Molly Allgood. The novel begins in 1952, long after Synge is dead, when Molly is living in London in virtual destitution. The novel always stays focussed on her, whether it is following her through London, or through various episodes during her time with Synge. Though this is doubtless supposed to increase our attatchment to her, the problem is that in both the past and the novel’s present there is not enough narrative tension to sustain interest in her thoughts and memories. After the first chapter, all the novel does is put meat on the bones of what we already know. There is also an issue with voice- the perspective shifts between second and third for no obvious reason, and even her internal monologue moves between high and low registers. What might explain these shifts of person and register is the ghost of Synge that seems to literally haunt her present. He is present in a derelict flat opposite hers, and later in a cinema. If more were made of this in the narrative, one might be able to argue that the narration of the book is shared, perhaps contested, between Molly and Synge (hence the shifts between second person and a sort of free indirect third person), or alternately, that these different registers reflect Molly’s affectations of gentility whilst being obviously destitute. If it seems that I am working hard to excuse what are most likely failings of the novel, it is because the novel is so well-written. One wants this to count for something, whilst knowing it is not sufficient. ‘Six Feet of the Country’ and ‘The Smell of Death and Flowers’ contain similar moments where the veener of white characters’ sympathies are betrayed, often with an offhand expression. There is a merciless quality to Gordimer’s writing, one that often denies the characters a rich, inner life, and instead focuses on what follows from their actions. There are few, if any, white characters in the stories set in South Africa who are not shown to be complicit in the workings of apartheid, at least to some degree. In ‘A Soldier’s Embrace’ a lawyer who has represented black clients in cases against the state is shown to be motivated as much by self-interest and vanity. Though he and his wife are ‘rather proud of their friendship’ with a dissident, and claim to have been against the regime, neither have a problem with retaining a servant. After the old regime falls, they claim to have no intentions of leaving, but in the end all it takes the offer of another job elsewhere- in a different repressive regime in which they will again have both an affluent lifestyle whilst feeling themselves morally superior. But there also stories, like ‘The Bridegroom’ and ‘Town and Country Lovers’ that explore more intimate territory. Though these display the same alertness to the inequalities present in people’s relationshhips under apartheid, they also offer occassional moments of personal respite from that system. Even the abolition of apartheid is shown to be problematic. In ‘At the Rendevous of Victory’, the leader of the guerilla forces that made the overthrow of the regime possible becomes a marginalised figure the new leaders are embarassed of. The later stories are more uneven- ‘Why haven’t you written?’ is a compelling story of a man stuck in snow-bound Mid-Western town during the winter, who drunkenly writes to his distant wife to tell her about an affair he’s having. Gordimer impressively shows him vacillating between wanting it to arrive, and wishing that it would not. On the other hand, ‘Letter from his Father’, a fictional evocation of Franz Kafka’s father, who writes reproachfully to his son from heaven, is a cliched, cringeworthy effort. Of all the books I reviewed for the prize, this is the only one I can recommend. Though some of the other novels contained good writing, or effective scenes, what all of them lacked was the sense that they mattered, or even had much to say. 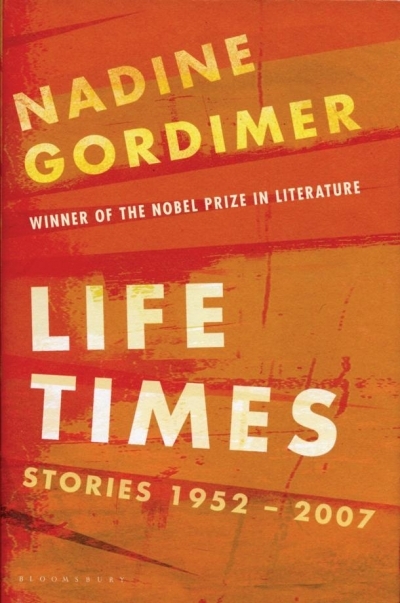 Ultimately, however, it is not the undoubted gravity of Gordimer’s themes that impresses, but the precision, and subtlety with which she shows how such issues are realised in daily life. I was recently given a stack of books to read for a literary prize which should probably remain nameless. Part of my duties was to write a short review of each, justifying why it should or should not be recommended for the prize. 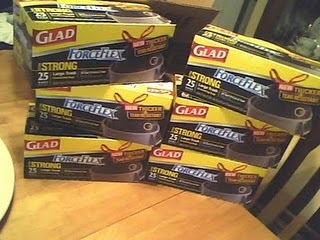 I present these here, and should warn you that despite striving for fairness, I probably failed at times. I have an insurmountable aversion to some genres (barring the honorable exceptions that exist in each), and so may not have been as fair to the several books of quasi-mystical self-help masquerading as novels that the pile contained. To their authors, I can only apologise, and wish them better luck in the next prize-giving year. 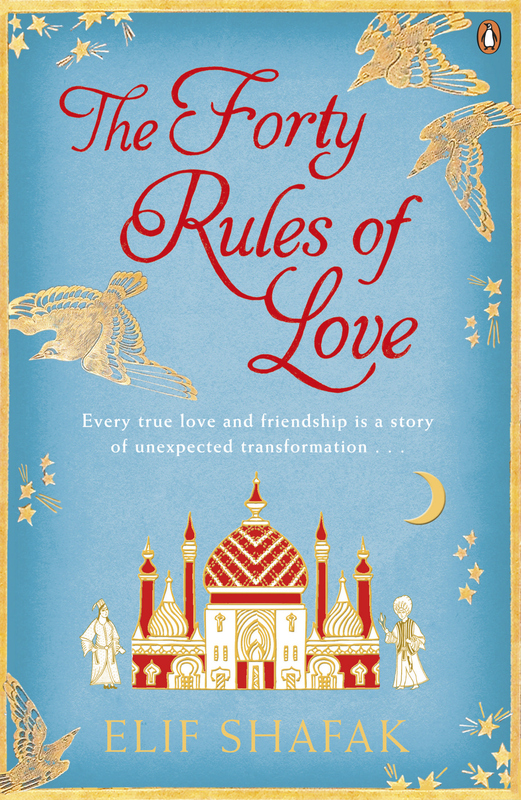 This is the story of how Ella, an affluent woman with a slightly unhappy marriage reads a manuscript about the poet Rumi, and is so overwhelmed by its timeless precepts about the human heart that she falls in love with its author, and the way of Rumi, and subsequently leaves her affluent life and slightly unhappy marriage. That this is going to happen is telegraphed to the reader with incredible haste. I don’t blame you Ella, I deserve it. I neglected you, and you looked for compassion elsewhere. 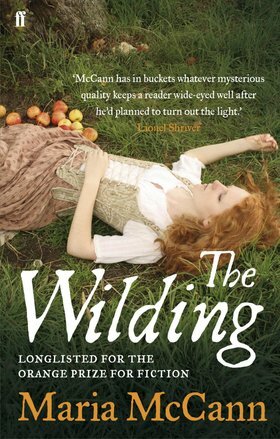 The Wilding is set in England in 1672, just after the end of the Civil War. 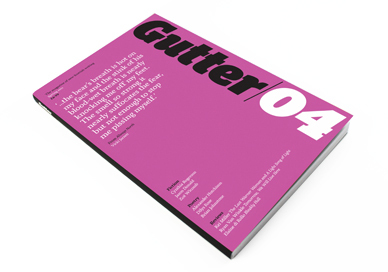 Jonathan Dymond, a young man who works as a cider-maker, lives with his loving parents and leads a quiet, life, travelling around the neighbouring villages with his mobile cider-press. When Jonathan’s father receives a mysterious letter from his dying brother, Jonathan grows suspicious and decides to visit his uncle’s widow to investigate. At his Aunt Harriet’s house he meets Tamar, one of his aunt’s servants, and begins to unravel the circumstances surrounding his uncle’s death. This is a well-written novel, with a fast-moving plot, which seems well-researched (not least in the minutiae of cider making). Thematically, it ably charts Jonathan’s journey from an initially bucolic existence to one that is more alive to the tensions and dangers inherent in people’s relations. The main problem with the novel is that the characters lack depth, especially its protagonist, which makes it difficult to be interested in his minor evolution. Perhaps the use of at least one other perspective in the novel (for example, Tamar’s) would have brought variety and balance to the book, which for the most part lacks genuine tension- even when two women try to murder Jonathan, there is no real sense of danger. For the most part, the novel also lacks a strong sense of period. There is rarely the impression of a different culture and sensibility to that of the present. 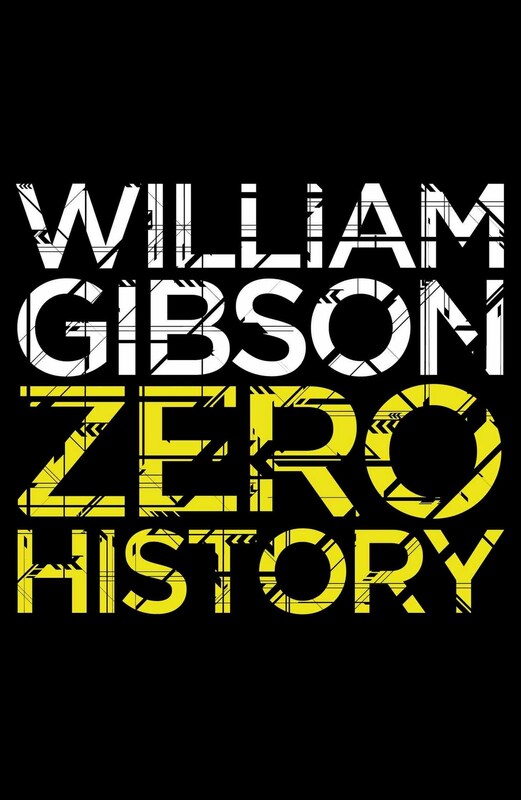 Zero History is the third novel in Gibson’s foray into the contemporary techno-thriller, a genre whose rules he subverts (or perhaps ignores), as this novel lacks the violence and sense of imminent catastrophe that such books rely on. The plot centres around the attempt to locate the designer of a secret brand of clothing, with the aim of getting them to design clothing for the US military. Behind this, there are occassional , vague hints that Something Big Is About to Happen. Barring a few, somewhat dutiful chase sequences, the book mainly consists of fairly roughdrawn, though likable, characters serving as vehicles for Gibson’s observations of our contemoporary Western mores. At their best, these allow Gibson to make familiar moments into something unsettling. At other times, Gibson seems to be trying to hard to impart significance to the quotidian, as in this description of driving through London, which seems somewhat sub-Pynchon. For the most part, the prose is taut and smooth flowing, though Gibson does over-punctuate at times, as in the following sentence which has too much going on it. The novel is written in short numbered sections of between 1 and 6 pages, which serve to flick attention between Hollis and Milgrim, the two narrative subjects of the novel. Though this makes the book easy to read, it might have been profitable to deepen our understanding of some of the other characters- even a brief diversion from the alternation of the two main characters would suffice. Another issue with the novel (and its predecessors in the trilogy) is the sense that Gibson likes his main characters too much for anything truly bad to happen to them. As such, the resolution of the novel is somewhat flat, with most the main characters forming stable couples, a modern equivalent of the traditional all-the-good-people-get-married kind of ending. With regard to the (somewhat half-heartened) promises of a paradigmatic shift in society, this turns out be somewhat ludicrous- a way of predicting the financial markets’ behaviour seventeen minutes in advance. Gibson has written better, more imaginative novels, with a greater sense of threat, than this. Though an enjoyable read, it is not recommended for the prize. As for Kate’s secret- that she has cancer -this occupies curiously little narrative space during the first half of the novel. Though this can be explained as part of her wish to avoid the truth, the sense of threat and fear is not enough to generate interest in the ‘mystery’ of what she has come to the island to escape. sub-Pynchon, as in this description of driving through London. Contractual wrangling means that the next season of Mad Men probably wont air until 2012 (gasp). In the meantime, here’s a kind of spoof/public service announcement that Vincent Kartheiser and Rich Sommer made, which isn’t exactly funny, but feels right enough. After a hard day’s ride we arrived on the outskirts of Plate. We fed the horses and pitched the tent; after a frugal supper, we slept. It was a deep, refreshing sleep. In my dream the President shook my hand after pardoning us. He said, “O my son and daughter! How greatly you have suffered!” Then he hung gold medals round our necks and named a park after us. In the morning we put on our masks and rode into town. When we passed someone, I said, “Hello,” and after they returned my greeting, I added, “We’re on our honeymoon!” Then I waved my beak, and Ethel waggled her horn, and after we’d gone through this a few times, it was more or less true.